Since 1870, there has been an Evangelical, an Evangelical United Brethen, and now United Methodist church presence in this place we call Ackermanville. The site and structure itself stand as a reminder of how each of us is a beneficiary of the efforts, hard work, and dedication of all those who have gone before us. Women, men, youth and children, known and unknown, who have lived, labored, and died here, leaving to us a rich legacy of faith. Going forward, we invite you to check back regularly, as we will utilize this site to document our history and legacy! 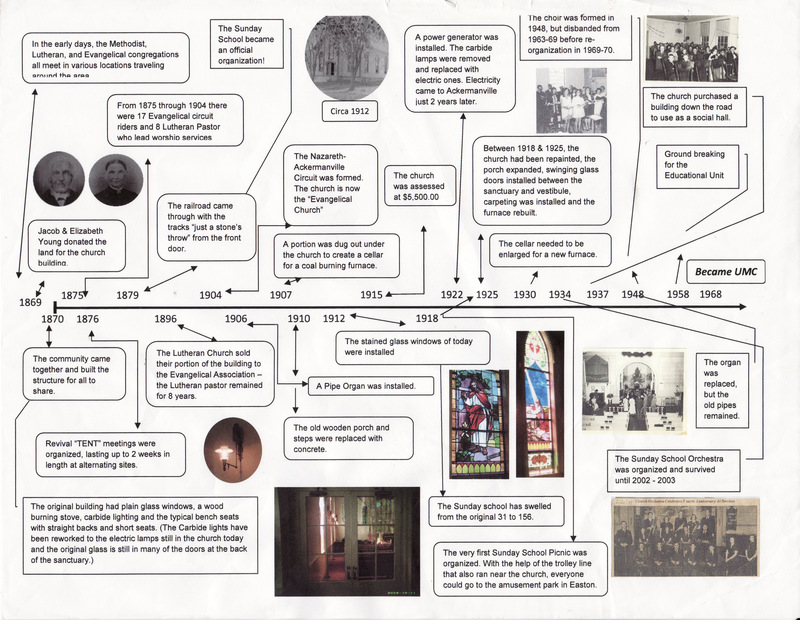 Click here to see a "snapshot " of a historical Timeline of our church now known as Ackermanville UMC.